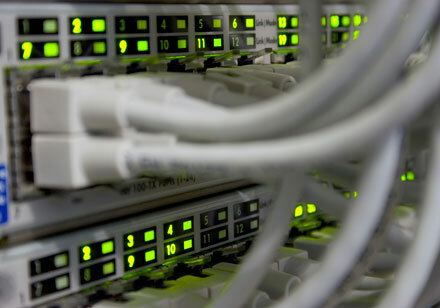 In addition to the above we can also install Business grade Analogue, Digital or IP PBX solutions. 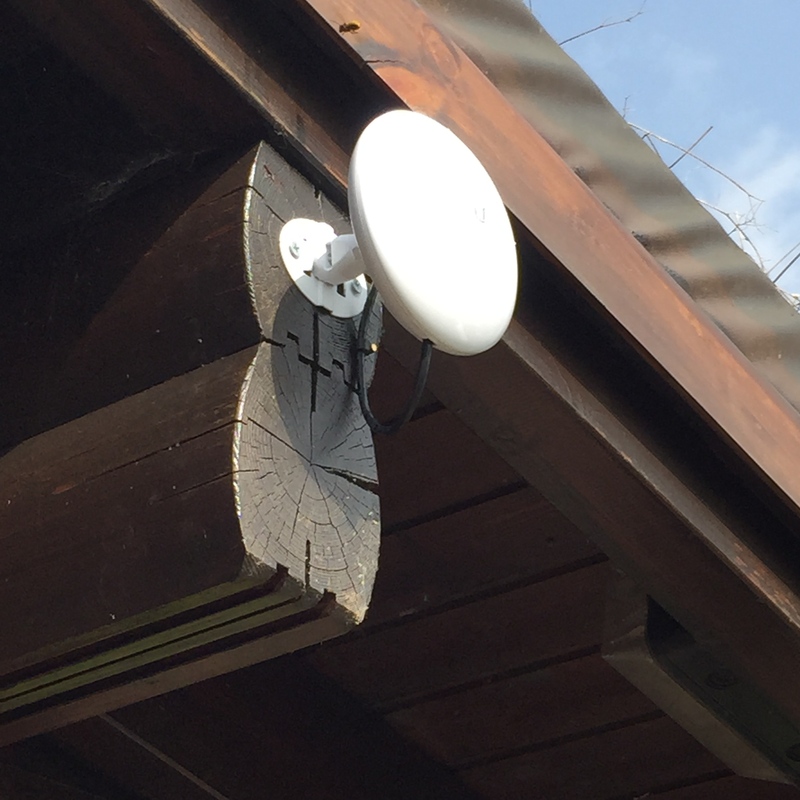 We have installed several Wifi systems using Ubiquiti NanoStation 2.4 and 5Ghz access points - delivering upto 300Mbit/s throughput at distances in excess of 500 metres. If this is something you are considering or have a need for then please get in contact. We will complete a radio line of sight survey free of charge and provide a quotation based on a network design that complies with your requirements. Kimcomm AV can undertake Wifi network spectrum analysis - sounds good doesn't it? Well, if you are not getting the Wifi performance you think you should be there are reasons for that and we can help determine the cause of the problem. If you look at the diagram above you can see a waveform view of a typical 2.4Ghz wifi network. The middle Waveform view has three distinct "humps" representing Wifi activity at those particular frequencies. In this case they represent Wifi channels 1, 6 and 11 and are not causing any interference with each other. 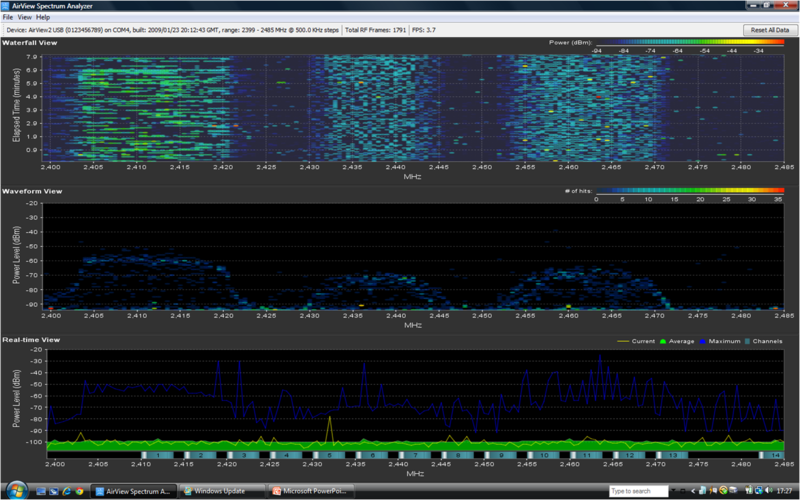 The Waterfall view at the top shows RF activity in a time lapse mode so we can see what was transmitting when. The bottom view is a real-time activity monitor - very useful for trying to detect interference spikes etc. In fact, in this diagram Channel 1 is activity from a Sonos Bridge to Play 3 speakers, Channel 6 is a Wireless Access Point and Channel 11 is from a Wifi router. We can also determine RF power levels as well. Furthermore, by using a tool such as WifiPerf we can determine data throughput, RF signal levels, encryption etc etc and using a Wifi mapping tool we can determine wifi dead spots and ideal locations to place wifi repeaters. 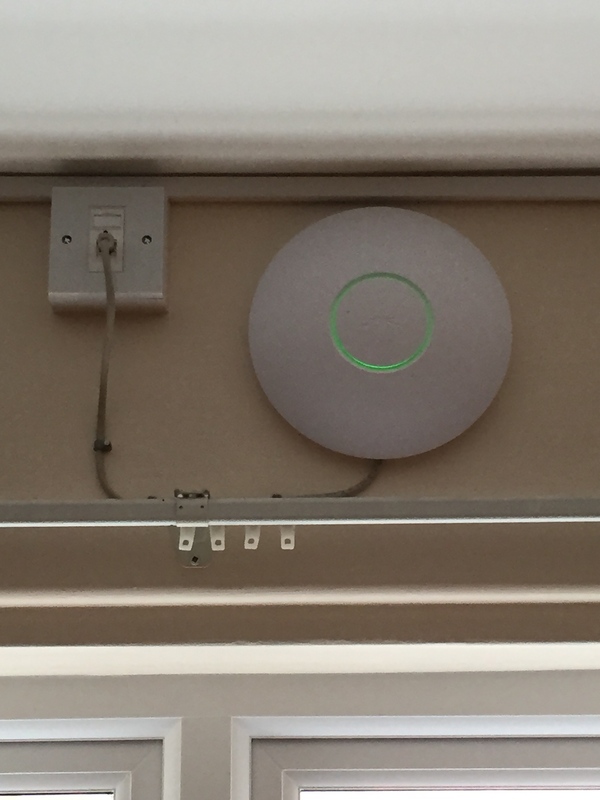 We would love to assist you and your home or business in achieving the optimum Wifi performance - give us a call on 01905 753605 or 07793065448 or contact us via the contact us page. Of course we can also provide Digital TV, Satellite, Digital Radio, CCTV and Audio Visual services for your office or Business. 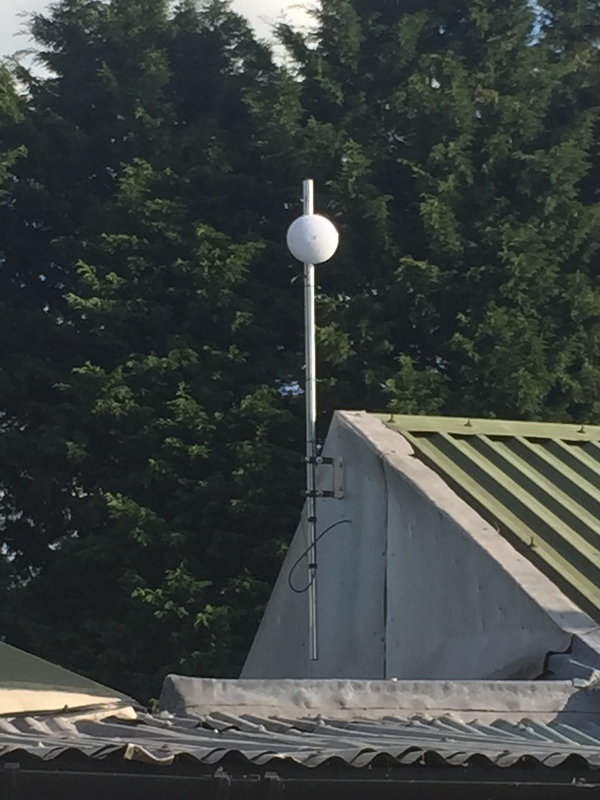 We have recently added the design and installation of 3G or 4G Antennae and Router solutions for Broadband back-up or primary networking requirements. For further information please contact us on 01905 753605 or complete the form on the CONTACT US page. We can also provide a number of customer site references should you require something more than words to ponder over.